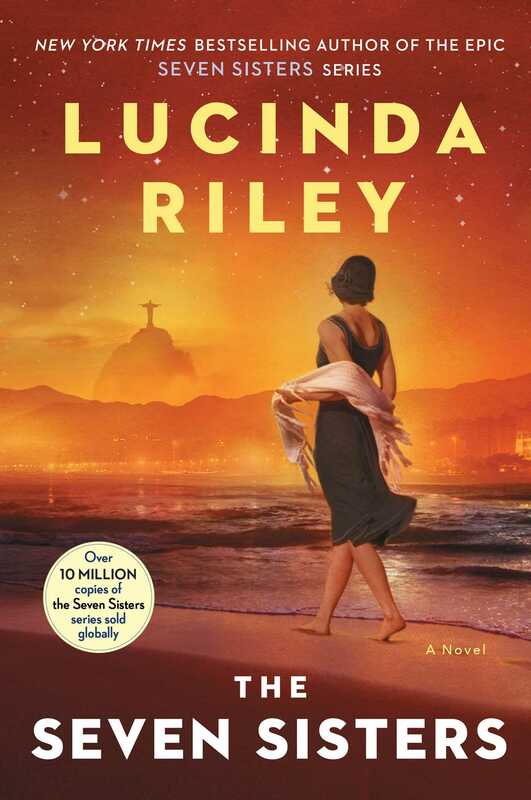 The first book in a series from #1 internationally bestselling author Lucinda Riley, author of The Midnight Rose—hailed as “an extraordinary story [and] a complex, deeply engaging tale filled with fascinating characters” (Library Journal). Maia D’Apliese and her five sisters gather together at their childhood home, “Atlantis”—a fabulous, secluded castle situated on the shores of Lake Geneva—having been told that their beloved father, who adopted them all as babies, has died. Each sister is handed a tantalizing clue to her true heritage—a clue that takes Maia across the world to a crumbling mansion in Rio de Janeiro, Brazil. Once there, she begins to put together the pieces of her story. Eighty years earlier in the Rio of the 1920s, Izabela Bonifacio’s father has aspirations for his daughter to marry into the aristocracy. Meanwhile, architect Heitor da Silva Costa is devising plans for an enormous statue, to be called Christ the Redeemer, and will soon travel to Paris to find the right sculptor to complete his vision. Izabela—passionate and longing to see the world—convinces her father to allow her to accompany him and his family to Europe before she is married. There, at Paul Landowski’s studio and in the heady, vibrant cafes of Montparnasse, she meets ambitious young sculptor Laurent Brouilly, and knows at once that her life will never be the same again. In this sweeping, epic tale of love and loss—the first in a unique, spellbinding series—Lucinda Riley showcases her storytelling talents like never before. I was sitting in the pretty garden of my old school friend’s townhouse in London, a copy of The Penelopiad open but unread in my lap, enjoying the June sun while Jenny collected her little boy from kindergarten. I felt calm and I appreciated what a good idea it had been to get away. When my cell phone rang and I glanced at the screen and saw it was Marina, I was studying the burgeoning clematis unfolding its fragile pink buds, giving birth to a riot of color, encouraged by its sunny midwife. “Hello, Ma, how are you?” I said, hoping she could hear the sun’s warmth in my voice. I remained silent as a million different and ridiculous thoughts passed through my mind. The first one being that Marina, for some unknown reason, had decided to play some form of a tasteless joke on me. Still no words would form coherently on my lips, as I began to realize that Marina, dear, beloved Marina, the woman who had been the closest thing to a mother I’d ever known, would never tell me this if it weren’t true. So it had to be. And at that moment, my entire world shifted on its axis. It was then that I heard the suffering in her voice and understood she’d needed to tell me as much for her own sake as mine. So I switched into my normal comfort zone, which was to comfort others. And, as we continued to discuss where each of my younger sisters was, as though we needed to get them together for a birthday party rather than to mourn the death of our father, the entire conversation took on a sense of the surreal. “When should we plan on having the funeral, do you think? What with Electra being in Los Angeles and Ally somewhere on the high seas, surely we can’t think about it until next week at the earliest,” I said. “Well”—I heard the hesitation in Marina’s voice—“perhaps the best thing is for you and I to discuss it when you arrive back home. There really is no rush now, Maia, so if you’d prefer to continue the last couple of days of your holiday in London, that would be fine. There’s nothing more to be done for him here . . .” Her voice trailed off miserably. I pressed the button to end the call and before the storm clouds in my heart opened up and drowned me, I went upstairs to my bedroom to retrieve my flight documents and contact the airline. As I waited in the calling queue, I glanced at the bed where I’d woken up that morning to simply another day. And I thanked God that human beings don’t have the power to see into the future. The officious woman who eventually answered wasn’t helpful and I knew, as she spoke of full flights, financial penalties, and credit card details, that my emotional dam was ready to burst. Finally, once I’d been grudgingly granted a seat on the four o’clock flight to Geneva, which would mean throwing everything into my luggage immediately and taking a taxi to Heathrow, I sat down on the bed and stared for so long at the sprigged wallpaper that the pattern began to dance in front of my eyes. Expecting the spoken words to provoke a raging torrent of tears, I was surprised that nothing actually happened. Instead, I sat there numbly, my head still full of practicalities. The thought of telling my sisters—all five of them—was horrendous and I searched through my emotional filing system for the one I would call first. Inevitably, it was Tiggy, the second youngest of the six of us girls and the sibling to whom I’d always felt closest. With trembling fingers, I scrolled down to find her number and dialed it. When her voice mail answered, I didn’t know what to say, other than a few garbled words asking her to call me back urgently. She was currently somewhere in the Scottish Highlands working at a center for orphaned and sick wild deer. As for the other sisters . . . I knew their reactions would vary, outwardly at least, from indifference to a dramatic outpouring of emotion. Given that I wasn’t currently sure quite which way I would go on the scale of grief when I did speak to any of them, I decided to take the coward’s way out and texted them all, asking them to call me as soon as they could. Then I hurriedly packed my luggage and walked down the narrow stairs to the kitchen to write a note for Jenny explaining why I’d had to leave in such a hurry. Deciding to take my chances hailing a black cab on the London streets, I left the house, walking briskly around the leafy Chelsea crescent just as any normal person would do on any normal day. I believe I actually said hello to someone walking a dog when I passed him in the street and managed a smile. No one would know what had just happened to me, I thought as I managed to find a taxi on the busy King’s Road and climbed inside it, directing the driver to Heathrow. Five hours later, just as the sun was making its leisurely descent over Lake Geneva, I arrived at our private pontoon on the shore, from where I would make the last leg of my journey home. Christian was already waiting for me in our sleek Riva motor launch. And from the look on his face, I could see he’d heard the news. “How are you, Mademoiselle Maia?” he asked, sympathy in his blue eyes as he helped me aboard. “I’m . . . glad I’m here,” I answered neutrally as I walked to the back of the boat and sat down on the cushioned cream leather seat that curved around the stern. Usually, I would sit with Christian in the passenger seat at the front as we sped across the calm waters on the twenty-minute journey home. But today, I felt a need for privacy. As Christian started the powerful engine, the sun glinted off the windows of the fabulous houses that lined Lake Geneva’s shores. I’d often felt when I made this journey that it was the entrance to an ethereal world disconnected from reality. The world of Pa Salt. I noticed the first vague evidence of tears pricking at my eyes as I thought of my father’s pet name, which I’d coined when I was young. He’d always loved sailing and often when he returned to me at our lakeside home, he had smelled of fresh air and the sea. Somehow, the name had stuck, and as my younger siblings had joined me, they’d called him that too. As the launch picked up speed, the warm wind streaming through my hair, I thought of the hundreds of previous journeys I’d made to Atlantis, Pa Salt’s fairy-tale castle. Inaccessible by land, due to its position on a private promontory with a crescent of mountainous terrain rising up steeply behind it, the only method of reaching it was by boat. The nearest neighbors were miles away along the lake, so Atlantis was our own private kingdom, set apart from the rest of the world. Everything it contained within it was magical . . . as if Pa Salt and we, his daughters, had lived there under an enchantment. Each one of us had been chosen by Pa Salt as a baby, adopted from one of the four corners of the globe, and brought home to live under his protection. And each one of us, as Pa always liked to say, was special, different . . . we were his girls. He’d named us all after the Seven Sisters, his favorite star cluster. I was Maia, being the first and eldest. When I was young, he’d take me up to his glass-domed observatory perched on top of the house; lift me up with his big, strong hands; and have me look through his telescope at the night sky. And I would see. As he explained the legends that were the source of my own and my sisters’ names, I’d hardly listen but simply enjoy his arms tight around me, fully aware of this rare, special moment when I had him all to myself. Marina, whom I’d presumed as I grew up was my mother—I’d even shortened her name to “Ma”—I’d realized eventually was a glorified nursemaid, employed by Pa to take care of me, because he was away so much. But of course, Marina was so much more than that to all of us girls. She was the one who had wiped our tears, berated us for sloppy table manners, and steered us calmly through the difficult transition from childhood to womanhood. She had always been there, and I could not have loved Ma any more if she had given birth to me. During the first three years of my childhood, Marina and I had lived alone together in our magical castle on the shores of Lake Geneva as Pa Salt traveled the seven seas to conduct his business. And then, one by one, my sisters began to arrive. Usually, Pa would bring me a present when he returned home. I’d hear the motor launch arriving, run across the sweeping lawns and through the trees to the jetty to greet him. Like any child, I’d want to see what he had hidden inside his magical pockets to delight me. On one particular occasion, however, after he’d presented me with an exquisitely carved wooden reindeer, which he assured me came from Saint Nicholas’s workshop at the North Pole itself, a uniformed woman had stepped out from behind him, and in her arms was a bundle wrapped in a shawl. And the bundle was moving. After that, life had changed. The maternity nurse who Pa had brought with him disappeared after a few weeks and Marina took over the care of my baby sister. I couldn’t understand how the red, squalling thing which often smelled and diverted attention from me could possibly be a gift. Until one morning, when Alcyone—named after the second star of the Seven Sisters—smiled at me from her high chair over breakfast. “She knows who I am,” I said in wonder to Marina, who was feeding her. And as she grew, she became my shadow, following me everywhere, which pleased and irritated me in equal measure. “Maia, wait me!” she’d demand loudly as she tottered along behind me. Even though Ally—as I’d nicknamed her—had originally been an unwanted addition to my dreamlike existence at Atlantis, I could not have asked for a sweeter, more loveable companion. She rarely, if ever, cried and when she was a toddler there were none of the temper tantrums associated with children of her age. With her tumbling red-gold curls and her big blue eyes, Ally had a natural charm that drew people to her, including our father. On the occasions Pa Salt was home from one of his long trips abroad, I’d watch how his eyes lit up when he saw her, in a way I was sure they didn’t for me. And whereas I was shy and reticent with strangers, Ally had an openness and trust that endeared her to everyone. She was also one of those children who seemed to excel at everything—particularly music, and any sport to do with water. I remember Pa teaching her to swim in our vast pool, and whereas I had struggled to master the technique to stay afloat and hated being underwater, my little sister took to it like a mermaid. And while I struggled to find my sea legs even on the Titan, Pa’s huge and beautiful oceangoing yacht, when we were at home, Ally would beg him to take her out in the small Laser dinghy he kept moored on our private lakeside jetty. I’d crouch in the cramped stern of the boat while Pa and Ally took control as we sped across the glassy waters. Their joint passion for sailing bonded them in a way I felt I could never replicate. Although Ally had studied music at the Conservatoire de Musique de Genève and was a highly talented flautist who could have pursued a career with a professional orchestra, since leaving music school she had chosen the life of a full-time sailor. She now competed regularly in regattas and had represented Switzerland on a number of occasions. When Ally was almost three, Pa arrived home with our next sibling, whom he named Asterope, after the third of the Seven Sisters. “But we will call her Star,” Pa had said, smiling at Marina, Ally, and me as we studied the newest addition to the family lying in the bassinet. By now I was attending lessons every morning with a private tutor, so my newest sister’s arrival affected me less than Ally’s had. Then, only six months later, another baby girl joined us, a twelve-week-old named Celaeno, whose name Ally immediately shortened to CeCe. There was only three months’ age difference between Star and CeCe, and from as far back as I can remember, the two of them forged a close bond. They were like twins, talking in their own private baby language, some of which the two of them still used to communicate. They inhabited their own private world, to the exclusion of us others, and even now, in their twenties, nothing had changed. CeCe, the younger of the two, was always the boss, her stocky body and nut-brown skin in direct contrast to the pale, whippet-thin Star. The following year, another baby arrived, Taygete—whom I nicknamed “Tiggy” because her short, dark hair had sprouted out at strange angles on her tiny head and reminded me of the hedgehog in Beatrix Potter’s famous story. I was by now seven years old, and I’d bonded with Tiggy from the first moment I set eyes on her. She was the most delicate of us all, suffering one childhood illness after another, but even as an infant, she was stoic and undemanding. When yet another baby girl, named Electra, was brought home by Pa a few months later, an exhausted Marina would often ask me if I would mind sitting with Tiggy, who was continually suffering with a fever or croup. Eventually diagnosed as asthmatic, she rarely left the nursery to be wheeled outside in the pram, in case the cold air and heavy fog of a Geneva winter affected her chest. Electra was the youngest of my siblings and her name suited her perfectly. By now, I was used to little babies and their demands, but my youngest sister was without doubt the most challenging of them all. Everything about her was electric; her innate ability to switch in an instant from dark to light and vice versa meant that our previously calm home rang daily with high-pitched screams. Her temper tantrums resonated through my childhood consciousness and as she grew older, her fiery personality did not mellow. Privately, Ally, Tiggy, and I had our own nickname for her and she was known between the three of us as “Tricky.” We all walked on eggshells around her, wishing to do nothing to set off a lightning change of mood. I can honestly say there were moments when I loathed her for the disruption she brought to Atlantis. And yet, when Electra knew one of us was in trouble, she was the first to offer help and support. Just as she was capable of huge selfishness, her generosity on other occasions was equally pronounced. After Electra, the entire household was expecting the arrival of the seventh sister. After all, we’d been named after Pa Salt’s favorite star cluster and we wouldn’t be complete without her. We even knew her name—Merope—and wondered who she would be. But a year went past, and then another, and another, and no more babies arrived home with Pa. I remember vividly standing with my father once in his observatory. I was fourteen years old and just on the brink of womanhood. We were waiting for an eclipse, which he’d told me was a seminal moment for humankind and always brought change with it. At this, his strong, protective bulk had seemed to freeze for a few seconds. He’d looked suddenly as though he carried the weight of the world on his shoulders. Although he didn’t turn around, for he was still concentrating on training the telescope on the coming eclipse, I knew instinctively that what I’d said had distressed him. As the familiar thick hedge of spruce trees, which shielded our waterside home from prying eyes, came into view, I saw Marina standing on the jetty and the dreadful truth of losing Pa finally began to sink in. And I realized that the man who had created the kingdom in which we had all been his princesses was no longer present to hold the enchantment in place. "Riley has written another intricately plotted, compelling family saga, which presents historical and cultural attitudes of the time and place in which her characters live. Like the famous statue that brought the lovers together and hovers over Rio today, the story is elegantly sculpted and rich with history... the book will please fans of romance as well as historical fiction lovers." "A brilliant page-turner, soaked in glamour and romance." "Riley is a skilled storyteller of epic romances, intertwining established history with imagined backstories. An engrossing, sweeping tale, the first in a new series that explores the mythology behind the constellation, The Seven Sisters will appeal to fans of Kristin Hannah and Linda Gillard while leaving readers anxious to learn about the histories of the stars’ other namesakes." "Lucinda Riley is one of the strongest authors in this genre of historical fiction. Her ability to weave stories together, using modern-day and historical settings, is top notch...This novel will appeal to readers of multiple genres as it contains excellent historical detail, heart-wrenching romance, and an engaging mystery." "Riley launches her most ambitious and exciting writing project to date...…a labyrinth of seductive time-switch stories, the enchanting brand of novel writing which has made Riley one of the best women’s fiction authors on the market… An epic start to an epic series."